There is little argument that Apple’s solutions have entered the cutting edge of enterprise IT, empowering digital transformation across some of the world’s biggest companies. With this in mind I thought it might be interesting to put together just a few details concerning Apple’s enterprise-focused improvements you can expect to see revealed at the company’s Worldwide Developer’s Conference next month. We think it probable Apple will introduce a new 10.5-inch iPad Pro 2 at WWDC, with Digitimes hesitantly suggesting a new model of the existing 12.9-inch iPad Pro 2 won’t ship until the third quarter. Equipped with a smaller bezel for a larger usable screen, significantly faster processor and exciting usability improvements, Apple will be hoping to both blow the Surface underwater and regain its hold of the lucrative enterprise mobility markets. The question is how pro can Apple go? I’m a little less certain what to expect here. However, recent claims Apple’s Tim Cook has been testing a non-invasive diabetes sensor around Apple campus is a big enough reveal it leads me to expect some news on this at WWDC. Introduction of non-invasive diabetes sensors along with an expected host of other health-related improvements will have consequences across multiple industries, from health insurance to employee wellness programs. The new model is unlikely to ship until Q4. iOS 11 will be a true 64-bit operating system. This is likely to have consequences on enterprises standardized around proprietary 32-bit apps, (these will need to be upgraded). The OS will also use the new APFS filing system now supported across current implementations of iOS 10. The nature of these changes should be high performance, power efficiency and much improved data security. We don’t really know how far along Apple is with AR development, but the company’s willingness to discuss it along with current industry trend suggests it will at least reveal some of the details of how it plans to create an AR program for developers. While the company is likely to stress consumer use scenarios for AR when it does, there will be huge implications across multiple enterprises. There are already active examples in which enterprises involved in retail, agriculture, energy exploration, distribution, product design and many other fields are using AR in their work. It really is a big deal: Gartner research VP, Brian Blau predicts that by 2019: “AR, VR and mixed reality (MR) solutions will be evaluated and adopted in 20% of large-enterprise businesses,” forming a $143.3 billion market by 2020. Likely the most advanced mobile device the world has ever seen, Apple will be hoping its new highest-end smartphone will follow in the footsteps of previous iPhones and the iPad in capturing the hearts and minds of C-suite executives once again. When it does, the device may generate an upgrade cycle that exceeds previous iPhone introductions. C-status execs will justify their investment on the basis of exploring the potential of Apple AR. Apple won't talk about the product at the show, but it will be interesting to see if it has any advice for developers to help them create next-generation AR solutions. Apple’s open source Swift programming language has won lots of praise across the developer community. It regularly sits among the top ten programming languages and has attracted support across platforms and the developer community. IBM, for example, makes extensive use of Swift. Speaking just last year, Mike Gilfix, IBM’s VP of MobileFirst and Smarter Process told me: “With this release, Swift is now ready for the enterprise,” Gilfix says. “I used to be a language hacker back in the day…. It’s not every day you see the birth of a new programming ecosystem like Swift is going to be. I think we’re only getting started.” WWDC 2017 will see further improvements to the increasingly essential language, and this should interest most in enterprise IT. Users at the highest end of the Apple spectrum remain disappointed that the company dropped the ball with Mac Pro, but Apple will attempt to tide them over with improved MacBook, MacBook Air and MacBook Pro models, equipped with Kaby Lake processors. Speculation claims these will appear at or around WWDC. Apple will also discuss the latest iteration of macOS at the event, this is likely to introduce machine intelligence across wider feature sets and a more context-aware Siri. “We are actively working cognitive into our portfolio to include a number of Watson capabilities that will take our apps to the next level,” IBM’s Heidi Fillmore, Executive Partners, Travel & Transportation Apple + IBM Product Lead told me earlier this year. “These include natural language capabilities, richer personalization insights, deeper business insights all based on cognitive so our apps just get smarter over time as the system learns.” There is little doubt that increased context-awareness in Siri will have implications for enterprise IT, just how much impact this might have hangs on how extensive this year’s improvements turn out to be. Apple is likely to spend a little time talking about its Messages platform. It will extend this with new API’s to widen the number of apps supported on the platform, which will work with Siri in order to enable users to access some tools from a wearable device (eg: Tap the AirPod to summon a taxi or make a payment). Apple Pay will get some focus – it deserves too as the teams behind the service have worked incredibly hard. There is speculation this will include the ability to pay people using a Message, which may have implications in customer service and retail opportunities. Recent intensification of Apple Maps car sightings suggests the company may be ready to make some key announcements around its mapping platform as it seeks to dispel the negativity associated with its service following its botched launch. I imagine these will tie in well with new iBeacons features, as the company seeks to build an infrastructure to support AR in everyday life. Such introductions will have big implications for retailers and their IT solutions. 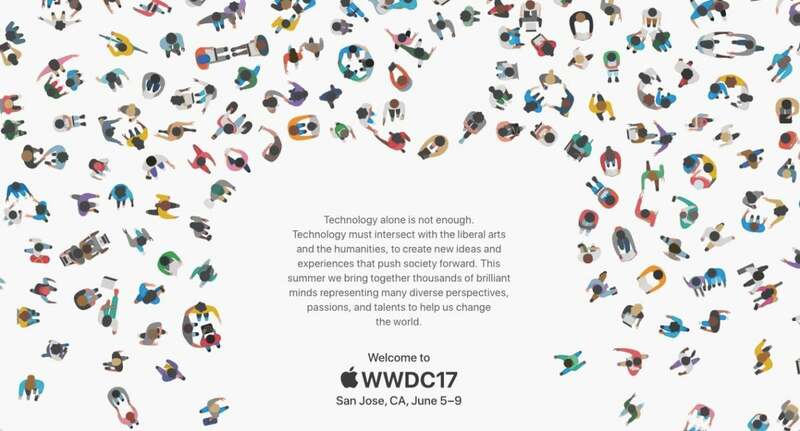 WWDC is one of the key events for speculation regarding Apple’s plans. While some or all of these announcements may be made there is no guarantee the information will be disclosed within the presently predicted time frame.